Tourism plays a vital role in London’s economy. It employs 1 in 7 of London's workforce and strengthens London’s reputation as an open and welcoming city. Visits to the capital by 2025 are projected to attract 40.4 million international and domestic visits annually - 30% more than in 2016. But such growth and associated economic benefits will only be realised with a coherent vision and the means to implement it. 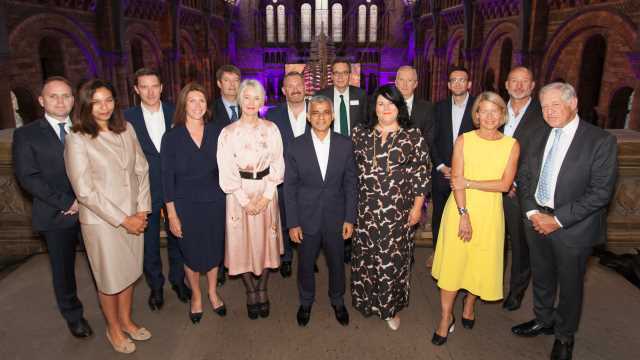 We collaborated with more than 100 of the capital’s tourism businesses, including Gatwick Airport, Hilton, Merlin Entertainments and Airbnb as well as leading industry associations such as the Association of Leading Visitor Attraction and the British Hospitality Association, to define a new vision for London’s tourism industry. We believe that if this vision is realised, tourism will drive economic growth and stimulate the city’s cultural scene, support even greater numbers of jobs and strengthen London’s reputation as an open and welcoming city. I am delighted to endorse and support this new vision. It sets out a clear new direction for London’s tourism sector. Pre-visit promotion: convincing more visitors to choose London by attracting more first-time visitors; drawing more visitors during off-peak seasons and directing them to locations where London has capacity; showcasing London’s cultural offer. Visitor experience and information: providing visitors with information to help them do more and see more in London; improving information to help them find rewarding food experiences and encouraging visitors to explore areas beyond central London and connect with Londoners. Infrastructure and amenities: ensuring London can sustain and accommodate growing numbers of visitors; investing in culture, amenities and digital infrastructure. Developing the infrastructure for business visits and events: strengthening the meetings and events proposition by understanding drivers for growth and reviewing capacity constraints; creating a world-class business visitor experience through greater coordination across the city; addressing regulatory constraints that make London less attractive for delegates. Thank you to all the organisations that kindly gave their time and valuable insight to help deliver this vision. To sustain current growth, industry and government need to collaborate to build a sound foundation to a sector that is vital to London’s economy.